Stronger global growth, higher commodity prices and improved market access will see sub-Saharan Africa report an increased gross domestic product growth rate in 2018, but high debt levels pose a serious threat, the latest International Monetary Fund report has shown. According to the IMF's Regional Economic Outlook: Domestic Revenue Mobilization and Private Investment Report released on Tuesday, the average growth rate in the region is projected to rise to 3.4% in 2018, from 2.8% in 2017. Growth is expected to accelerate in about two-thirds of the countries in the region. 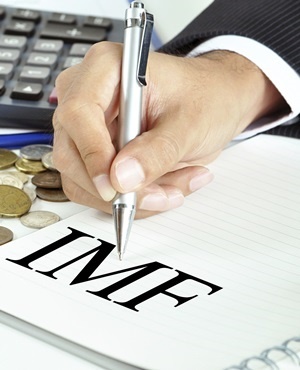 However, decisive policies are needed to both reduce vulnerabilities and raise medium-term growth prospects, said the IMF. "While external imbalances have narrowed, the record on fiscal consolidation has been mixed and vulnerabilities are rising: about 40% of low-income countries in the region are now assessed as being in debt distress or at high risk of debt distress," the lender said. The IMF said increasing debt levels in the region pose a threat to recovery in the affected countries, where fiscal space became constrained by the rising public debt burden. It said on current policies "average growth in the region is expected to plateau below 4% - barely 1% in per capita terms - over the medium term". Prudent fiscal policy is needed to rein in public debt, while monetary policy must be geared towards ensuring low inflation, said the IMF. The IMF is also concerned about a slowdown in private-sector credit growth in sub-Saharan Africa, compared with other countries with similar levels of economic development. The Washington-based lender is also concerned with rising non-performing loans, which it says have surged across the region. "Increases in non-performing loans are particularly large among resource-intensive countries such as Angola, Mozambique and Republic of Congo, where weak economic activity has caused a decline in credit quality. “Countries where rising nonperforming loans weigh on the recovery must take swift action to address rising vulnerability,” the IMF said.